The recommended EDCOR transformers are custom order only it seems after contacting them. Did everyone building one of these kits wait 6-8 weeks for these or is there a second source or replacement more readily available? All the other components were in shopping carts ready to order and this fact made me think twice about the wait. Mine only took a few weeks to come from Edcor. I just checked my notes and it took 4 weeks for the transformers to arrive. I spent most of that time thinking thru how to build the amp. Not all the part from Mouser shipped at the same time also. While you are waiting you can layout and make the case. Think of any other options you want to include. I added a stand by switch to my amp. I can keep power to the tube heaters while not having the whole amp on. See my post "First time build" to see what I did. This was the first thing I ever built. Also there are parts needed that are not listed to complete the amp. I want to go with tube rectification instead of the SS version shown in the kit schematic. However, when I look at the recommended Edcor transformer I notice it does not include the second secondary winding for the 5U4G I want to use. Is the Hammond 272FX (or similar) a suitable replacement for the Edcor? And is it similar to what is used in the Super Zen for tube rectification? I'm going to use a Hammond power transformer to get a head start on the build while I wait on the Edcors. Mouser keeps several mA level selections in stock to choose from even in the 2 secondary model. Only 19 days after placing the order. WOW! 19 days is fantastic, Take your time bulding this. It is fustrating making a mistake and having to correct it. I made a few while building mine. Post some pics while you go along we love to see pics. Transformers arrived and look nice. So I just completed a p-to-p prototype build on a piece of composite board for a test run and beauty fit check. 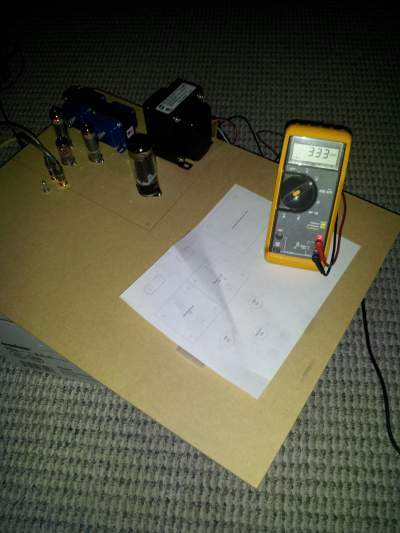 Testing voltages and such to see if my 5U4G-B rectifier circuit was designed properly. Voltages are a bit high, I believe, due to the loads being less than what I planned for. Anyone have a method for estimating (or actual measurement of) the current requirements for the ZKIT design? I decided to load up all the tubes for a test run and...............Holy Cow! What an unbelievable sound from 2W or less! My grounding scheme just to get this running quickly is, at best, very weak, but I have to say I hear zero hum until I turn the volume up to near 95% with no input. I have a question. My DAC can be configured as Fixed output or variable. What is the best method for controlling volume with the Zen? Turn it up high and use the DAC variable out? Or fix the DAC output and use the Zen volume control? Congrats on the build and the great sound. I would try the volume control both ways, and in fact play around to see where you prefer the amp set at. . .in one system I like my amp about 3/4 volume and control the source volume. . . the amp sounds a bit better at 3/4 volume than all the way up in some systems. There's no right way, the right way is the way you like the best. . . ! With this crappy grounding I will likely go with keeping the Zen at a constant no-hum volume and adjust the input from the DAC. You are correct of course that once I have the build solidified, whatever sounds best is the way to go. I am using SV83s so I will be experimenting with the Hazen grid mod tomorrow. I'll have to read some more to get the opinions on that as far as effect. Well the Edcor power transformers finally shipped so I can now finish both builds and replace the weaker Hammond power transformer. 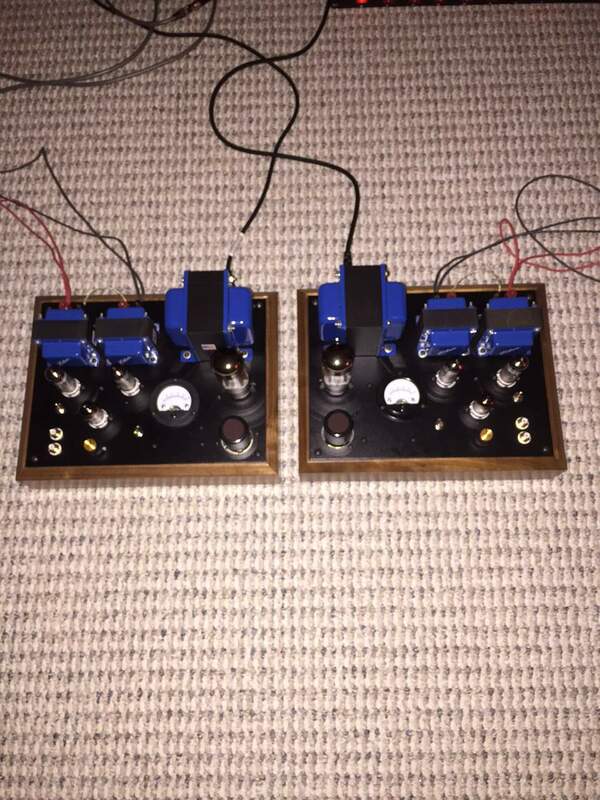 I decided to build two identical amps so that I can build the first one while continuing to enjoy the prototype. 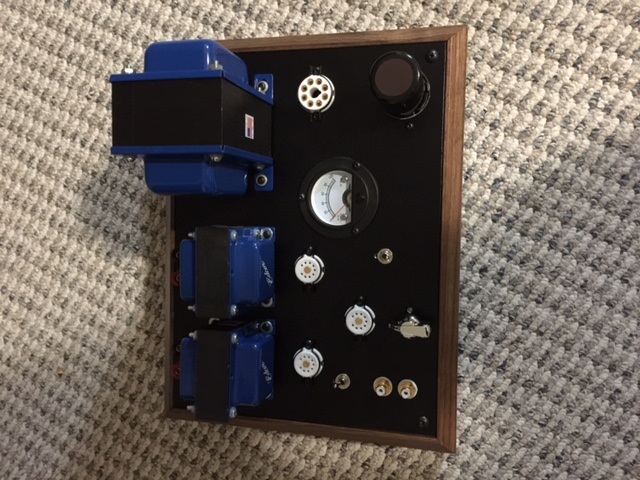 The majority of the parts for the second amp will come from the prototype. Slow progress but I'm still at it. First of 2 is in the wiring stages. Mechanical assembly is complete. Both complete now and running as bridged mono-blocks. And the last pic for this project. Very happy with the sound from these now, including the updated components used over the kit level. What power transformer did you use for your beautiful build? 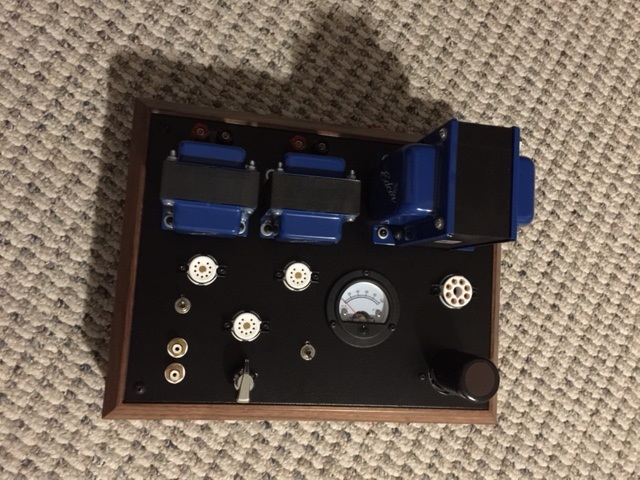 I built the kit using the circuit board and was thinking of building another kit with tube rectification. Edcor, XPWR178 in case the link doesn't work. Core32, what meter did you install on your amp? Catalog number? They also have a square flanged one of the same reading if you like that look better. Round fit my top panel better. I used the round because I was running out of panel space. I don't know if it would be any better on the square flange but the mounting screw holes on the round one are VERY close to breaking through the large opening for the meter body. It worked out ok but was worrisome. But then again I am not that handy with hole-saws and such so you may not have any issue. What size case did you use for the amp? Would you make it larger if you did it over? I would not use any significantly larger one because using two amps in mono-block form would just be too much, but due to working space inside and my older hands I also would not want to try it any smaller. If you look at my pictures you will see the top panel is pretty full. It may appear there is empty space but inside there are components and wiring between every externally visible part. Bigger would make it easier to work on but it also adds unnecessary length to all the signal paths, especially for p2p wiring. really nice build core, ill start to build mine next month and ill copy your meter lol, im curious about tube rectifier, do u think i can upgrade my board with that?